Speakers as well as organizations interested in sponsoring lectures or tracks are invited to submit lecture proposals between 1 January 2014 and 1 April 2014 for the NGS 2015 Family History Conference, Crossroads of America. The conference will be held 13–16 May 2015 in St. Charles, Missouri, where Lewis and Clark officially started their two-year expedition. As the country expanded, primitive trails and waterways made settlements robust. Early pioneers left footprints creating pathways that soon became roads and rails, which carried families to many frontier destinations. The new areas offered those families many opportunities along with many challenges. Among the topics being considered are lectures on migration, transportation, immigration, and ethnic and religious groups. States of interest include, but are not limited to, Missouri, Illinois, Iowa, Nebraska, Kansas, Oklahoma, and Arkansas, plus some feeder states such as Virginia, Ohio, Kentucky, Tennessee, and Pennsylvania. Regional topics include territorial records, land records, and military and pension records including the American Revolution, War of 1812, Mexican War, and Civil War as well as regional conflicts. Proposals are also solicited for the broader genealogical categories including federal records, national and state laws pertaining to the location and era, methodology, and analysis and problem solving, plus the use of technology for genetics, mobile devices, and apps in genealogical research. Interested individuals and organizations should follow published guidelines at the NGS website, http://conference.ngsgenealogy.org/program/call-for-papers/. Speakers may submit up to eight proposals electronically through the NGS website, http://conference.ngsgenealogy.org/program/call-for-papers/call-for-papers/submit-your-proposal/ no later than 1 April 2014. 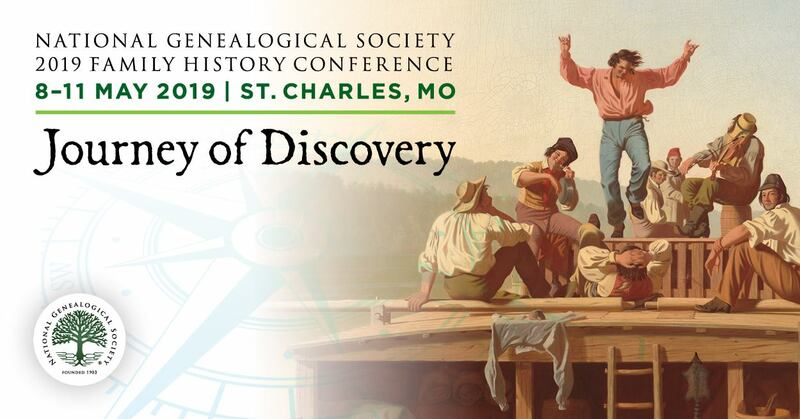 Organizations wishing to sponsor a lecture or track of lectures should review the details and sponsor requirements at http://conference.ngsgenealogy.org/program/call-for-papers/call-for-papers/ngs-2015-family-history-conference-sponsored-call-for-papers/. The deadline to submit sponsored lectures is also 1 April 2014.